DOWNTOWN BROOKLYN – Brooklyn is not immune to the opioid epidemic that has taken over the country. While the city has been fighting the drug crisis by providing the NYPD with naloxone and offering treatment centers for addicts, the Brooklyn Hospital Center is taking a different approach—limiting when opioid medications, which can cause dependency, are given to a patient. Doctors take an oath to alleviate pain and suffering, but it can get complicated, says Dr. Billy Sin, a pharmacist at the Brooklyn Hospital Center who is working to combat opioids. It all has to do with pain, he explained. Pain is the third most common healthcare problem and 75 percent of all emergency department visits are related to pain. In 2001, the Joint Commission introduced a new standard which noted that pain was the “fifth vital sign” or measurement of the body’s basic functions, along with body temperature, pulse rate, respiration rate, and blood pressure. The Joint Commission noted that this was in a “national effort to address the widespread problem of underassessment and undertreatment of pain,” but making it a fifth vital sign was not without its problems. “There was so much emphasis put on pain, that if a physician did not relieve it fast enough if they did not do it strong enough, they were immediately frowned upon or penalized,” said Dr. de Souza. “Many physicians felt the need to have every patient walk around satisfied with zero pain, not necessarily realizing how addictive the synthetic opioids were,” she explained. “I think that’s where the epidemic came from. In an effort to do well, it’s almost as if we fell on the other side, we overdid it perhaps. And when patients ran out of the synthetic opioids and couldn’t get them, they would go to street drugs.” Center for Disease Control and Prevention (CDC) agreed, that the overprescribing of opioids has led to addiction and overdose death. Three years ago, Dr. Sin and Dr. de Souza decided to take it upon themselves to fight the opioid epidemic: How can they alleviate pain and suffering without causing more harm? 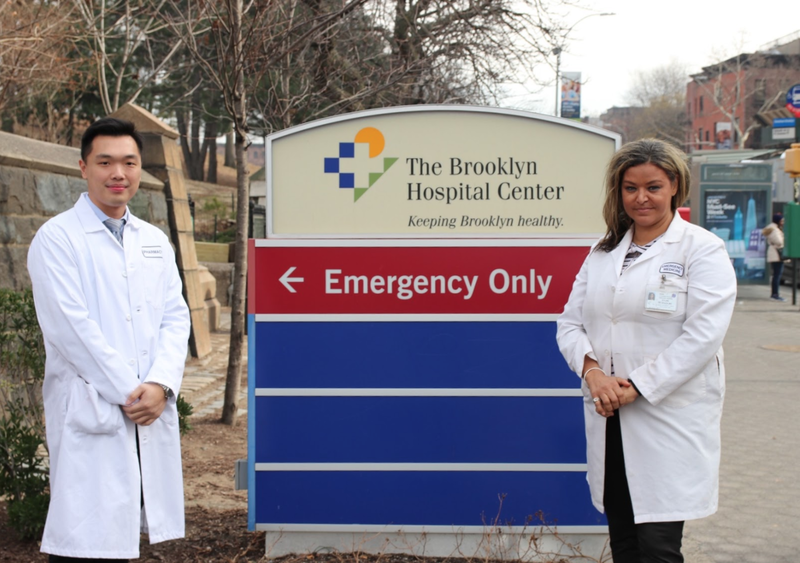 The Brooklyn Hospital Center pharmacy and emergency departments collaborated on the Emergency Medicine Clinical Research Program. The program, spearheaded by Dr. Sin, concentrates on pain management because that’s a heightened public concern for opioid abuse. It also offers year-round research experience for undergraduate and graduate volunteers. A few years ago, a 17-year-old student from Brooklyn Technical High School was brought into the emergency room. He had been playing volleyball, mis-jumped, and landed awkwardly dislocating his ankle. His ankle was deformed, so much that his father couldn’t bear to look at it, Dr. Sin explained. The young man was in a lot of pain. He was in severe distress with high blood pressure. Doctors administered 4 milligrams of morphine to control the pain. Fifteen minutes later, he was still in distress and said he had a pain score of 10/10. Because the morphine wasn’t working, doctors decided to administer lidocaine. Lidocaine is a synthetic compound used as a local anesthetic – not an opioid, just a numbing agent. Five minutes after the completion of the lidocaine IV, the boy’s pain went down to 6/10. After 20 minutes it was 3/10 and remained steady for 75 minutes. 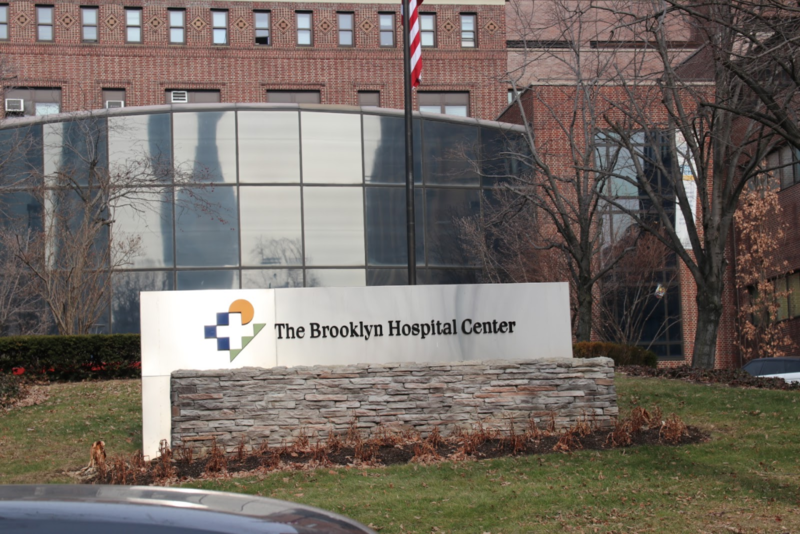 Though the Brooklyn Hospital isn’t recognized as a trauma center, it does occasionally get trauma patients. Such as in January of 2017, alter the LIRR derailment. A 58-year-old man arrived in an ambulance following the derailment and complained of shoulder and neck pain. He rated his pain as 10/10. Though morphine was administered, the patient was not responding well. After 90 minutes, doctors initiated lidocaine. After just five minutes, his pain decreased to 7/10, and at 20 minutes it was own to 6/10. 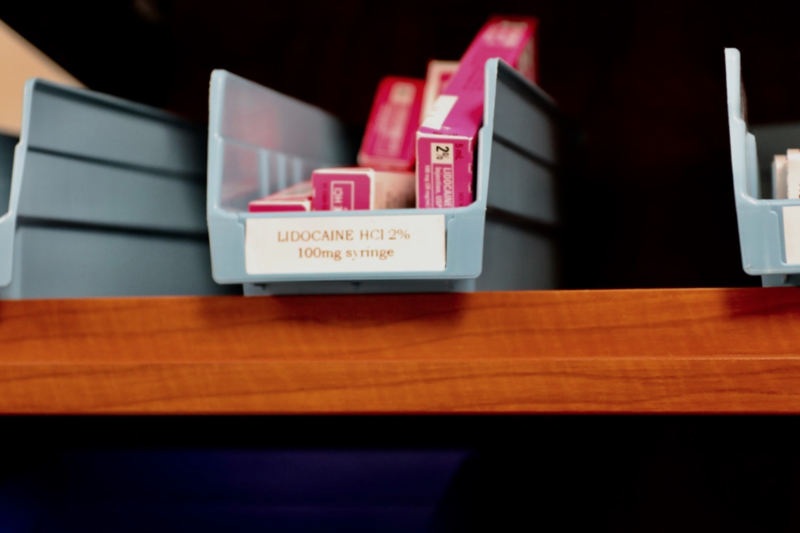 There are several other cases where lidocaine, and other non-opioids, have shown to be more effective than morphine alone. It is these results that push Dr. Sin and his team to continue researching and finding better solutions to combat the opioid epidemic. Another option to morphine is nerve blocking, explained Dr. de Souza, saying that there is a big push for residents to train in doing nerve blocks with local anesthetics. For example, if a patient came in with a fractured hip or knee, the hospital would most likely treat the patient with an analgesic (drug to relieve pain) that’s not an opioid, and combine that with nerve block to block the pain in the area of injury. “It’s a new methodology but more and more residents in the [emergency department] field are being trained in the techniques to control pain without using opioids,” Dr. de Souza said. But new methodology requires money, and according to Dr. Sin, there is a lack of grants given to hospitals from the City. Most of what Dr. Sin and Dr. de Souza work on comes from research conducted voluntarily by medical students. Will this epidemic ever end? Dr. de Souza and Dr. Sin began using alternative medicine in hopes that it would work and that one day, doctors wouldn’t need to rely so heavily on opioids when relieving pain. They’d also love for alternative medicine to be used in other hospitals around the country. It’s all about guidelines, Dr. de Souza explained. Combating the opioid epidemic will only work if strict guidelines are set in every medical facility. Great article. Very excited to see the effects of alternative medication like lidocaine and ketamine that could decrease opioid use. However, we need to know what is the worst that can come from these medications so we don’t fall in the same trap as before with opioids. I was also excited by the nerve blocking method. It’s cool to see those medical students having to bear this great responsibility of trying out this new innovation, and I’d like to know more about it: the global analgesic, the local nerve block, mechanisms, etc.